There is so much for each of us to be thankful for during this holiday season! May our upcoming break give you an opportunity to pause and reflect on the gifts and blessings in your life and the chance to spend time with family and friends. Thank you to our Mission Effectiveness Committee for coordinating the food baskets & Safeway gift cards for Monument Crisis Center. 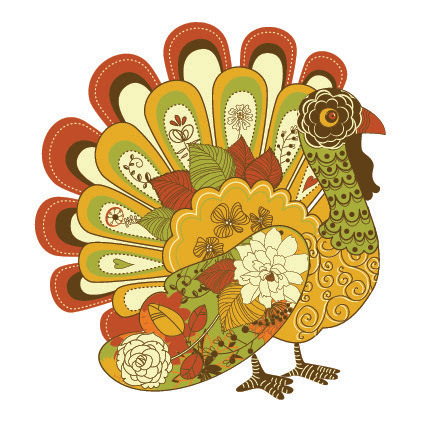 Because of your generosity, many less fortunate families will have a lovely meal this Thanksgiving! Friday marks the end of the first trimester. The PowerSchool parent portal will be shut down on Friday morning to give teachers the opportunity to submit final grades. The portal will reopen on Wednesday, December 5, when report cards are sent home. In addition to phone and email communications, parents will now be able to send and receive texts. All texts will be sent from/received by our front office. Ladies Night Out Fundraiser ~ More Shopping Opportunities! Wish Walnut Creek www.wishwalnutcreek.com ~ Mention St. Perpetua while shopping this week! City of Angels www.cityofangelsjewelry.com ~ Mention St. Perpetua through the holidays! The Gryco site for ordering school outerwear is active again. Click here for order link. Place your order by November 30th and your items will be delivered on December 19th. Please report your completed volunteer hours through October using the attached file and email to volunteer-at-stps@hotmail.com. Our Giving Tree in the front office will be decorated and ready to receive gifts when we return from our Thanksgiving break. All are invited to choose an ornament tag for a girl or a boy, purchase a gift and add the appropriate age to the tag, and return the gift under the tree. The last day to deliver gifts in Tuesday, December 18th. Samaritan House in Oakland will distribute the gifts to the children in their care. The InfoSnap Application link for NEW 2019-2020 prospective students is now open. Click here for the application link. Registration for RETURNING students will open in March, 2019. We have $900 in American Airlines in our scrip inventory. If you are thinking of purchasing American Airlines tickets, please consider buying this scrip to use for your ticket purchase. Thank you to all the families who provided food items and cash donations for our Thanksgiving Outreach. 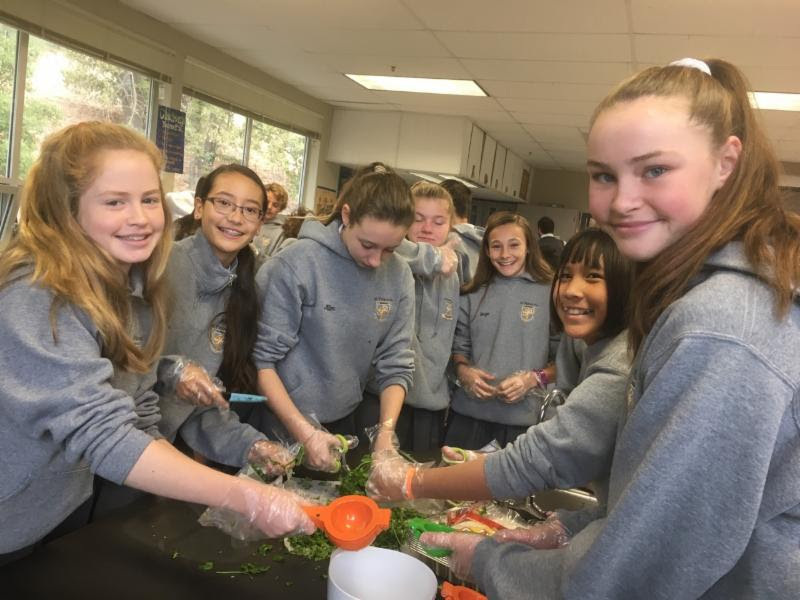 The 7th graders put together the baskets for needy Monument Crisis Center families and we provided $25 Safeway cards so recipients could purchase a turkey for the family dinner. Thank you for sharing your blessings with others! 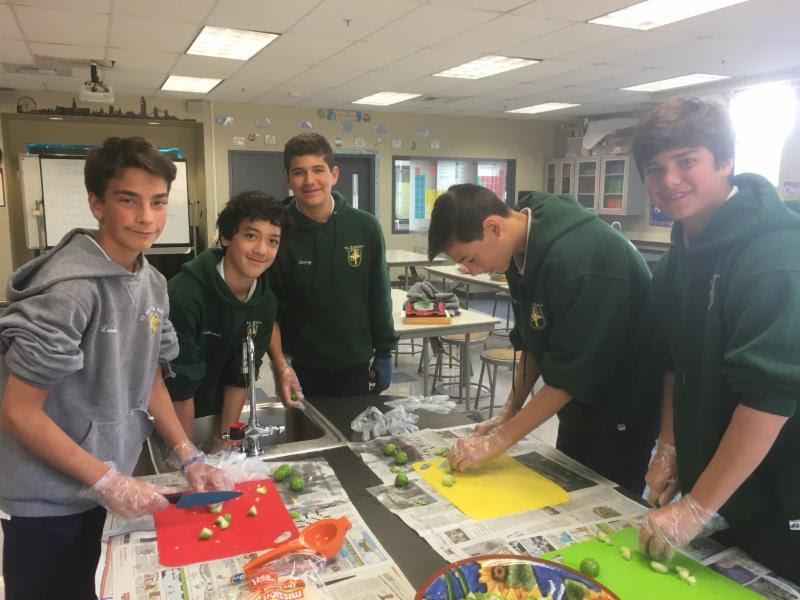 For more than 50 years, St. Perpetua Catholic School has been nurturing students in a safe environment that is rich in Catholic values and academic excellence. 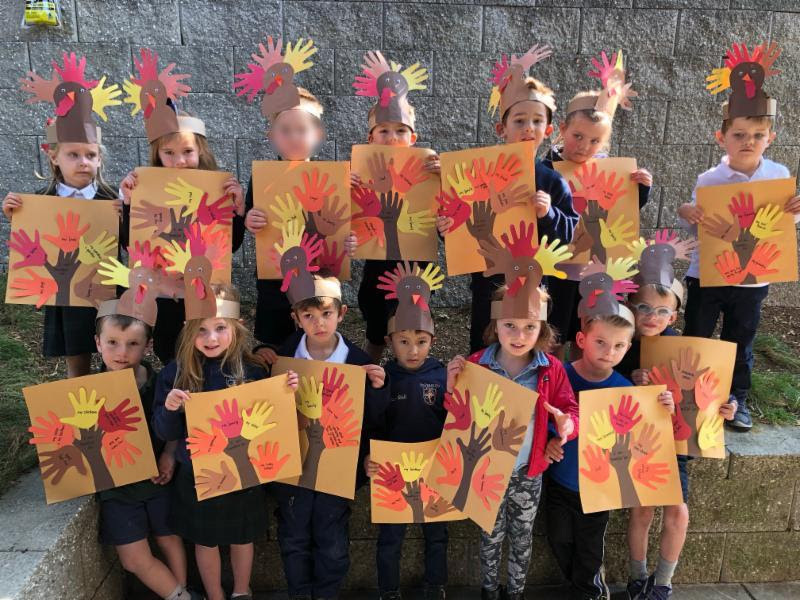 Every year, donations from alumni, parents of alumni, grandparents, parents, staff and friends of St Perpetua Catholic School provide us with the ability to share with those in our community who need tuition assistance. This year we are excited to introduce online donations. Simply go to https://bit.ly/2PqbMpdand you will find the site to make your donation online with a debit or credit card. Did you know that each Christmas the Parents Association gives a cash gift to our amazing teachers and staff? Christmas is just around the corner and it is time to start collecting. If you'd like to donate, please drop a check off or send one in with your student and be sure to write "teacher gift fund" in the memo section. Thank you!! A BIG THANK YOU SHOUT-OUT to Suzanne Kroger, Kirsten Kemner and Shawn Sabarese and the entire LNO committee for all their hard work to have such a successful Ladies Night Out evening. All proceeds provide funds to support our fabulous SEEDS program! Thank you so much, Magnificent Moms! Please join us for our 8th Annual Turkey Trot this upcoming Tuesday, November 20th at the Lafayette Reservoir. 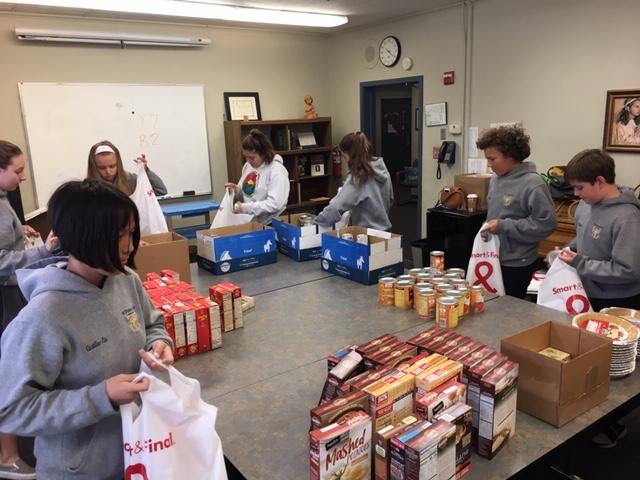 The St. Perpetua Turkey Trot is a PE Service Project that helps raise funds for turkey donations to the Monument Crisis Center. This is a great opportunity for students and families to not only exercise but also help those less fortunate for the Holidays. How it Works: students and families will meet at the grass field area near the playground upon arrival. We will have a brief meeting and prayer before starting the Turkey Trot loop around the Reservoir. Upon completion of the loop, students and families are encouraged to meet at the end of the parking lot closest to the playground as a meeting point. Their will be donuts and refreshments available for students and families. *Students who participate will receive a Free Dress Pass! *PARENTS ARE RESPONSIBLE FOR THE SUPERVISION OF THEIR CHILDREN FOR THE ENTIRE DURATION OF THE TURKEY TROT. Thank you and if you have any questions, please contact Brian Voltattorni at bvoltattorni@csdo.org or call 925-212-8460. Peppermint Shoppe is on Saturday, December 1st, from 9:00 -11:00 am! This is a sweet opportunity for children to shop for Christmas gifts for their parents, grandparents, siblings, friends, teachers and pets. All gifts are priced at $2.00 each, and they are wrapped to put under the tree. Bring the kids and enjoy complimentary hot cocoa, coffee and treats sponsored by the St. Perpetua School Parent Association. Watch for an early appearance by St. Nicholas! If you have any questions, please contact Nicole Damhesel at ndamhesel@gmail.com. PEPPERMINT SHOPPE ELVES NEEDED: Calling all Elves! 6th, 7th, and 8th grade elf volunteers are needed to staff this fun event. This is a great way to earn volunteer hours. Shifts run from 8:45AM-11:15AM. Parent agreement form and permission slip are required to participate. Sign up using this link. PARENT VOLUNTEERS NEEDED: What better way to get into the holiday spirit! Volunteers are needed to staff the event on Saturday, December 1st. This is a fun way to earn volunteer hours and catch some Christmas spirit. Volunteer shifts run from 8:30AM-11:30AM. If you would like to volunteer at the most festive and fun event that St. Perpetua has to offer, sign up using this link. Time to think about December! We've got fun workshops lined up BUT YOUR CHILD MUST BE SIGNED UP TO PARTICIPATE. These workshops are very popular and fill up very quickly, so please don't wait. Regular attendance fees apply. Deadline: First come, first served, or until Wednesday, November 28th...whichever comes first. We have opened up sign-ups for snack donation for the coming months. We appreciate your help in feeding our after school kids! Sign up here for donation slots. Dec 7(FRI): Noon dismissal. Panther House is open. Make sure your child brings a lunch. 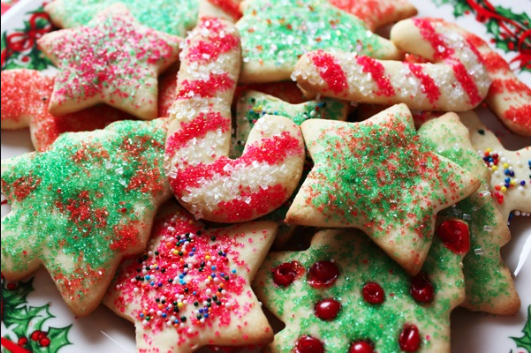 Dec 18 (TUES): Christmas Party: holiday games, gingerbread cookies and peppermint cocoa. 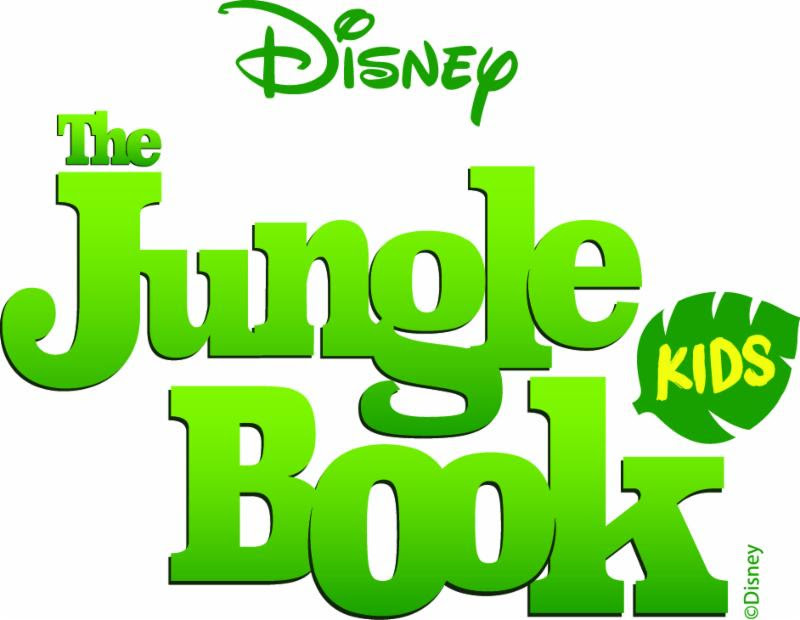 Available to all registered children. Dec 20 (THURS): Panther House is closed at 9:30 a.m.
Wishing you and your family many blessings and much abundance this Thanksgiving and throughout the year. 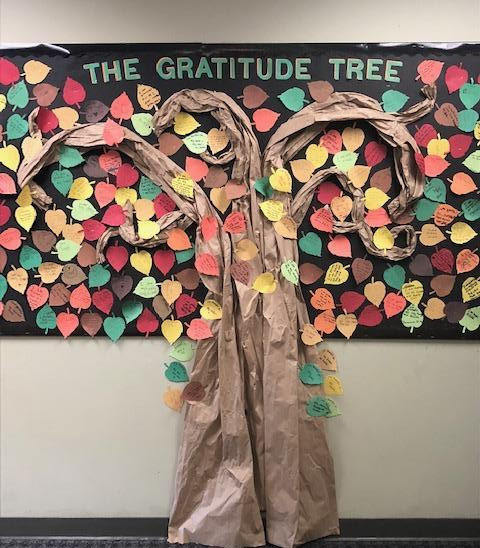 To kick off the Thanksgiving season, the Mission Effectiveness Committee, along with the 8th grade class, have started the Gratitude Tree. Students will be filling out leaves with something they are grateful for and adding it to the tree. Please stop by the back hallway to see our Gratitude Tree burst with thanks! Our Taste of TK & Kindergarten event is Friday, November 30th, 8:45am - 10:00am! Incoming Transitional Kindergarten and Kindergarten age children and their parent(s) are invited to get a taste of Kindergarten for a morning! Enjoy a casual conversation with the school principal and staff, discussing our kindergarten program and common topics including kindergarten readiness, emotional maturity, creating smooth transitions and more. Parents will then accompany their children into the kindergarten classroom to experience a short lesson and project, supervised by our teaching staff. You are invited to visit Cafe Perpetua and enjoy fresh baked goods, made from our local garden ingredients, and freshly brewed coffee. School tour provided and parents are given time to socialize. Parents must remain on campus during this event. You can register for this free event here. Questions? 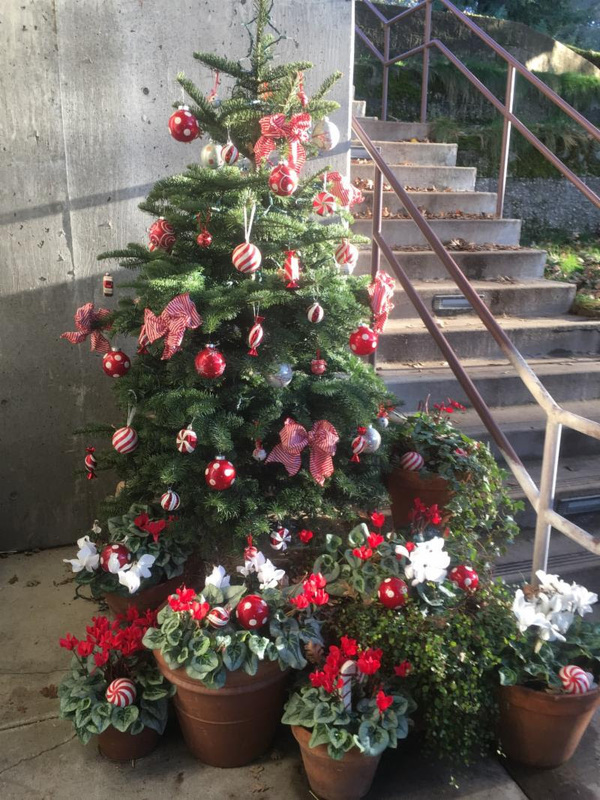 Please call the school office (925) 284-1640 or email Suzanne Kozel at skozel@csdo.org. Cafe` Perpetua will be closed on Friday, 11/16, as all of the elves are busy getting ready for the cafe's Christmas Boutique! Café Perpetua's Christmas Boutique will be held on Friday, November 30th from 7:30 a.m. until 10:30 am and on Saturday, December 1st from 9:00 am until 11:00 am. Click here for Christmas Boutique details! Here is the November enrichment event sponsored by SEEDS! Thank you to those of you who attended a screening of "Like" last week. In addition to the insights and lessons from the film, we learned from parents and kids who have various perspectives or expertise. Last week I posted many links that may have answered some questions or elaborated on conversations. Please be sure to look back at those links when you have a chance. One parent on Thursday evening brought up some of the physical effects she has seen on many kids, teens and adults who use technology. I found this article that explains some of the physical issues that were mentioned. https://www.washingtonpost.com/national/health-science/digital-disabilities--text-neck-cellphone-elbow--are-painful-and-growing/2016/06/13/df070c7c-0afd-11e6-a6b6-2e6de3695b0e_story.html. Although this article doesn't mention the effects on the brain, clearly there are also many on-going studies about technology's effect on our brains. On a social- emotional level, there was a new article that came out today comparing life as a middle schooler in 2008 to life as a middle schooler in 2018. I thought this was a great way to show some of the dramatic differences. 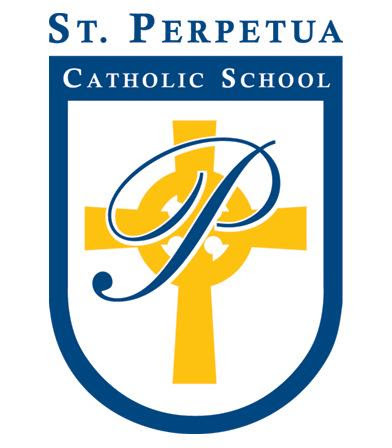 Please note that we are so fortunate to not allow cell phone use during the school day at St. Perpetua School. That has helped prevent some of the cell phone and social media problems mentioned in the above article. Lastly, on another note- I wanted to express my great gratitude to the St. Perpetua School Community. The devastating fires last year and this year have instilled an even deeper meaning of gratitude in our lives as our thoughts and prayers are with the many families affected. My hope for this Thanksgiving for you is to cherish your moments, to have time to refresh and to thoroughly enjoy your loved ones. The Carondelet HSPT Prep Course is quickly approaching on December 8th from 9:00a.m. - 12:00p.m.. This course is for BOTH 8th grade boys and girls and is designed to familiarize students with the content of the test, strengthen timed test-taking skills, and review test subject matter. Although the deadline to register is November 30th, we are down to our last 10 spots available, so please RSVP here if you are interested. We are inviting all 6th, 7th, and 8th grade singers and choir music enthusiasts to perform with us at our annual Christmas Concert on December 13! We would love your son or daughter to join us in singing Christmas carols while enjoying the holiday spirit. For more information, please visit our Middle School Choral Concert Page. Lastly, our application deadline is approaching on December 7th (adjusted to match De La Salle). Please log-on to apply today! As always, please don't hesitate to reach out with any questions! Schools in the Acalanes Union High School District no longer participate in the 8th Grade Parent/Student Information Night. You may visit High School websites or contact High Schools directly for information regarding the school or school tours. Any student wishing to request a transfer from his/her school of residence to another school within the District may do so during the Intradistrict Attendance Enrollment period. Intradistrict Transfer forms for the 2019-2020 school year will be available on November 1, 2018. For more information, you may review the Intradistrict Attendance Enrollment page on our District website. Families can choose to do a 'buyout' to fulfill their requirement. Email Kim Fogarty if you'd like to be billed for your buyout. We carry five local merchant cards in the office for convenient pick up: Diablo Foods, Lunardi's, Mangia Ristorante, Cooperage, and Metro. The full roster of scrip cards (literally hundreds!) can be found on the ShopWithScrip site.